The foundation of every successful campaign is undoubtedly the political campaign sign. Political scientists have proven that yard signs are powerful tools that can mobilize voters and have a profound effect on community awareness when they’re used correctly. So what should you take into consideration when planning your political yard-sign strategy? First, make sure that you have included the three basic principles of an effective sign: size, location, and compliance. Second, adhere to standard design practices, like avoiding clutter and standing out. 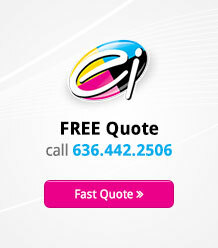 Third, choose the right printing company for your particular needs—because quality matters. In this guide, we cover all three steps to creating a successful political sign for your campaign. According to the United States Sign Council, it takes about one second for a driver to notice a sign on a busy road, and another three seconds for the driver’s brain to digest the salience of that message. That’s not much time to make a lasting impression. And it’s why it’s essential to create a sign that adheres to the three important elements of a good political sign: it should be big, it should be in the right location to capture the attention of both drivers and passersby almost immediately, and it should comply with all your county ordinances. Bigger Is Better. Frankly speaking, the bigger the sign is, the more likely it is to catch the attention of drivers. Consider buying the largest sign possible for your campaign. That said, be sure that you don’t block any throughways or interfere with driver safety. You don’t want the wrong kind of press for causing driver distractions. Location, Location, Location. Think about what kind of streets you are focusing your print marketing campaign on. On busy streets, it’s imperative that your sign is big and bold, because you’re competing for attention. On quiet residential streets, having an ostentatious sign could actually be a detriment, if the neighborhood feels that the sign is out of line with what they normally expect. It’s a good strategy to campaign in both kinds of locations, so consider buying signs that will work for both kinds of locations. Be sure, too, to take weather into consideration: signs in windy areas need additional reinforcements so that they won’t blow away, and signs in rainy areas need to have some level of waterproofing so that they don’t run. Law And Order. Finally, but certainly no less importantly, is the adherence to the local city and state ordinances. You never want to violate the law in order to get your political statement across! If you have any questions about the area’s ordinances, it’s perfectly acceptable to reach out to your local representatives. They’ll help you comply with any political-campaign stipulations. Avoid clutter. Your message should be as clear as possible. Don’t burden your sign with a lot of photos or other design elements that can distract the viewer. Keep in mind that your sign’s goal is to succinctly convey what you stand for through branding. Be consistent. You’ve probably already decided on your campaign logo and slogan. All of your signage should match that message. Don’t obsess over fonts. We’re not saying that fonts aren’t important—they are. But overall, just make sure that your font is easily readable on all sizes of campaign marketing materials, and stick with a single font. Be unique. You know why you stand out from other candidates, and your campaign signs should reflect that. Before you commit to a design, get feedback from interns, friends, family, and other professionals. Stay on message. Why should the community vote for you? If your campaign sign doesn’t answer that question in a clear and concise way, you’re missing an important part of print marketing for political campaigns. Sell yourself, but avoid cluttering your sign to do it. Use negative space. Remember, less is more. Negative space can have an enormous impact on how much you stand out. By balancing the negative space with the right amount of positive space, you’ll garner a lot of attention. Pay attention to your demographic. Different demographics call for different designs. Are you appealing to young working-class voters, or a retired constituency? Age, income bracket, and political leanings all play an important part in what appeals to your demographic, so design your signs accordingly.